Sometimes all I feel like doing is curling up with a good book and, after a pretty traumatic week that’s just what I’ve been doing. The cover of the Little Pink Taxi, along with the amazing title drew me in but the fact that the writer is French made it a done deal. 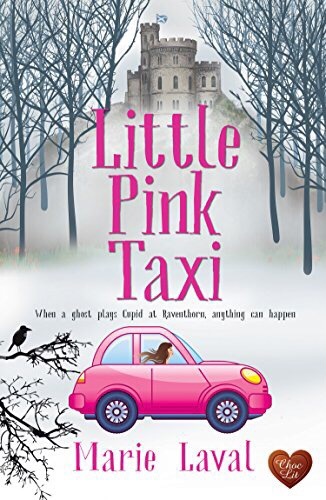 Rosalie, and her pink taxi are the heart of the remote Scottish village but when French stranger, Marc, arrives with his cold, aloof manner and worrying briefcase, things go down hill rapidly. Strange things happen both to the taxi and the isolated castle inhabited by more than one ghost.